How long does Writer’s Block usually last? Over a year? Is that normal? I haven’t written, edited, or even looked at one of my manuscripts since last year’s JUNOWRIMO! Is that horrible? Yes. This is why I’m not published. I stopped trying. I just up and stopped. To be honest, I have a lot of reasons / excuses / life-changing events that have put me off from writing, but I know if I made it a priority I’d have something more to show for it. Well NO MORE! I’ve promised myself to complete NaNoWriMo this year. Even if whatever I write is utter garbage. I miss it. I miss the process of weaving a story. I miss feeling creative and challenged. So I have a speck of an idea that’s going to turn into 50,000 words if it kills me. What about you? Anyone else out there planning on NaNo-ing? How long do you stay stuck when you get stuck? And most important, how do you get out of it?? Advice welcome! I make it a point to never talk about Politics. Literally to the extent that if someone brings it up, I’ll zip my lips, wait until they’re done expressing their opinion, nod, and change the subject. I don’t know why, but it makes me very uncomfortable. Maybe because I’m not a full fledged member of either party, maybe because I don’t take the time to educate myself enough to feel like I’m entitled to an opinion. Or maybe just because it makes me uncomfortable. But I was watching the debate last night (I missed the first half due to bedtime for the babies), but I couldn’t help feeling more and more unsure the more they said. I agree with some of BOTH of their ideas. And then, as a daughter of my die-hard conspiracy theorist parents, I couldn’t help but think, how much of this is true? I was reminded of high school elections where the candidates make all these outrageous promises (think soda in the water fountains) which they’ll never deliver on. But what I ended up thinking was, does it even matter? Does it matter what I think? I live in Utah. Our vote is decided regardless of what I do. Seriously. (Don’t get me started on the electoral college). So what difference does it make which man wins? What are THEY going to do to make MY life better? Unless it’s a bigger tax return this year, (or student loan forgiveness… PLEASE????) the answer is, they’re not going to DIRECTLY impact my family life so much. And after all this contemplation, I had an epiphany of sorts. Which might seem obvious to some of you out there who are wiser than me, but to me it was a revelation. I am the president that matters. I am president of my house. (Don’t worry, my husband would agree). I’m in charge of keeping my home a safe, prosperous environment. I have to manage our economy, and balance our budget. I’m in charge of educating my girls so they’re ready for a lifetime of success. I have to instill a moral compass in them that leads them to make the best decisions and provide them with every opportunity to succeed in the scary, scary world that is outside our sovereign territory. But still. It comforted me to an extent. I may not have power over who rules our country. I’ll never have any say in what America does to Iran, or how we look to the national community. But I CAN control my house. I CAN influence my children, my neighborhood, and my surrounding community. I can be an example of what’s right, and good, and fair. And hope and pray that America does the same. So I still don’t know who I’m voting for. I’ll make a confession; I’m 28 and never voted. I suffer from a severe and unrelenting case of apathy. But I really want to vote this year. It’s not just about me anymore. I just hope I can make up my mind before November. I don’t think either of us really believed that. Sure enough once we pulled up the toilet, we saw that not only was the wax ring disintegrating, the sub floor under the carpet (yes, carpet) was rotted to the touch. Yes, I made the last picture bigger than the rest. I’m kind of over the moon about it. I’ve never gone into designing a room without some sort of plan, or inspiration piece. Until this. I had to figure out SOMETHING to cover up those walls. I didn’t want tile again, and I couldn’t afford to re-drywall. So we went with beadboard. I absolutely love how it looks. We ended up running it vertically for the bottom 36” and horizontally for the top 16”. Why our bathroom was tiled up to 52 1/2” I will never know, But we found a way to fix it, and that’s what matters. I won’t go into all the dirty details, but I’m so so happy to share the end results! Those shadowboxes are the drawers from our old vanity. I painted them, cut down the glass shelf from our old medicine cabinet to fit inside, and backed it with the same fabric I used for the curtain. Which was, in fact a shower curtain that I cut down. I’m not a great seamstress, so I used the loops that were already done on the shower curtain for my rod. Then I just sewed weights into the bottom hem, and sewed up the side. The artwork are just some inexpensive frames from Wal-Mart and then scrapbook paper and letters I had. I’m so glad it’s over. And now I won’t be embarrassed to let my guests use the restroom! And one day, I will get on a regular blogging schedule again. Until then, thanks for hanging around and being patient with me. Congrats to all those writers out there who are getting good news too! Agents, and book deals, and cover reveals, oh my! You all are an inspiration. 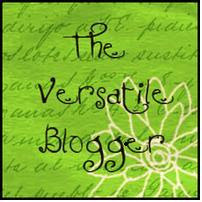 Hope all is well in the blogosphere! Happy Tuesday!